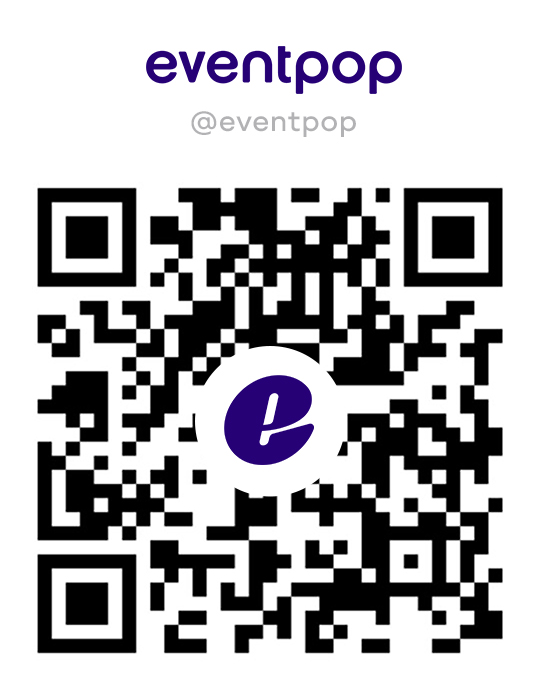 All terms and conditions in this document are applicable for your use of the website (or on any application on your mobile device) of Event Pop Co., Ltd. (the “Company”), which includes www.eventpop.me (the “Website”). Using the Website (or application on your mobile phone) constitutes your acknowledgment and acceptance of all of these terms of the Services. If you do not accept to be legally bound by the terms of any or all of the conditions stated herein, please do not use the Website (or application on your mobile phone). You provide false information on registration, including not updating data information to be current. Discovery of usage of your account by another person. Any actions that are committed through your account without abiding by the law or public morality, or are carried out fraudulently. Do not publish viruses, spyware, Trojans or any other program to hide malicious files, causing damage to the Website or the User. The Company is not involved in determining the amount of goods to be sold through the Website in all cases. In addition, in some cases, the Organizer may arrange to distribute the products/tickets through various channels including the Websites, so the Company cannot confirm the number of items that can be sold through the Website. The amount of the products/tickets on the Website is defined by the Organizer only. The payment is completed, provided that the payment has been confirmed via the Website. The Services fees are non-refundable under any conditions. Should there be postponement or cancellation of the activity, please directly follow up with the news and/or notification from the Organizer. The Company may convey information regarding postponement or cancellation of the event via the Company’s the Website. The Company shall not be liable for any damages caused by postponement or cancellation of the activity by the event organizer in any conditions. The Company shall not take part in any aspect of the organization of any activity. Should you find that the content or characteristics of the product or activity do not meet with the purpose of your purchase, you agree to directly inform the Organizer and that you forego and/or withhold any request you may have with the Company. You acknowledge and manifestly agree that the Company is not responsible for any mistakes in the content (i.e. messages, photos, trademarks, information, and /or any other aspects) on the Company’s the Website that may result from out-of-date information or spelling mistakes arising from human errors of the staff of the Company or details acquired from the Organizer. The Company reserves the right to amend the content on the Website without prior notice. The Company shall not be held responsible for the content and information on the Website, www.eventpop.me, or for the accuracy, completeness, or benefits of the Company, which may be caused by a third party, or any User, including opinions and recommendations of the staff under the care of the Company. You acknowledge and manifestly agree that the Company admits no responsibility toward any the User’s inability to use the Services (in any aspect) of the Website. You agree to be responsible for any risk that may arise from choosing the device to use the Services from the Website such as mobile phones, computer, hardware, and other items including fees for the Services rendered. The media and content on the Company’s the Website may be inaccurate due to a technical fault or misspelling. Furthermore, providing media, information, and the Services on the Website will be in a “as is” manner with no condition, guarantee, or any type of disclaimer. Therefore, the Company refuses to guarantee the conditions of any product, whether explicitly or implicitly, in its entirety. This includes, but is not limited to, implied warranties or conditions suitable for commercial purposes by default, satisfactory quality, suitability of the purpose or the need to use for specific purpose, rightful ownership, and not infringing with respect to the Website and its content and media on the Website. The use of the Website shall not cause disruption and the use of the Website is subject to the laws imposed on you or the sending of your personal information which pertains to the Website shall be successful, correct, and delivered safely. Hence, any rejections mentioned above are subject to the extent permitted by law. As far as the applicable law permits, the Company and its officers, directors, shareholders, employees, or representatives of the Company shall not be liable for direct, indirect, punitive or consequential damages, or any other damages of any kind. This includes, but is not limited to, loss of revenue, profits, goodwill, data, contracts, use of money, losses or damages caused by or relating in any way to business interruption, whether in tort of (including, but not limited to, negligence) contract or otherwise, as a result of, or relating to the use of, or inability to use the Website, its content or materials on the Website or accessed through the Website, including, but not limited to, any damages as a consequence of, or in relation to the use of reliable information received from the Website, or from the Organizers, or that which results from mistakes, omissions, interruptions, deletion of files or emails, errors, defects, viruses, delays in operation or transmission, or the inability to work on anything whether as a result of an event of force majeure, failure in communication, theft, destruction or unauthorized access of the Company’s internal records, programs, and/or the Services. You agree to protect, indemnify, and defend the Company and its executives, directors, employees and representatives of the Company from the demands of compensation, debts, liabilities and expenses of any kind (including, but not limited to, reasonable attorney’s fees) that result from, or are relating to (1) your usage of the Company’s the Website (2) breach of the Company’s terms and conditions, (3) breach of the rights of other users or (4) any action committed by you in relation to the Company’s the Website. All content displayed on the Website shall be subject to the law on Intellectual Property whereby the Company or third parties allow companies to use their Intellectual Property. The content is to be used on the Website only. The Company prohibits any duplication of the said content for other purposes. The Company reserves all Intellectual Property Rights explicitly and originally to www.eventpop.me in terms of content, symbols, fonts, graphics, design, and other related content and information. By using this Website, you agree not to duplicate, download, distribute, or disseminate any part of the Website other than for personal usage. You shall not imitate any part of this the Website, in any form, unless you have received written permission to do so from the Company. The Company is not responsible for any mistakes in content caused by breach of Intellectual Property Rights or damage arising from the User, no matter what the circumstances may be. It is prohibited for the User to upload content in order make changes to the data or any part of the Website, www.eventpop.me, without written permission from the Company. Violators are liable for such action. Furthermore, information distributed on the Website, www.eventpop.me, shall belong to the Company indefinitely and cannot be claimed with reasons, exceptions, or raise any legal clauses to justify your claim. The Company can do as it pleases with that information or media. The User agrees that the Company holds the right to modify, adapt, reproduce, publish, distribute data and information the Services on the Website www.eventpop.me which the User owns. You acknowledge and manifestly agree that in the case of any implementation of links from other websites to the Website www.eventpop.me, whether for commercial purposes or not, the Company shall not be affiliated with such links and shall not be responsible for any mistakes or damages which may arise from the use of the Website via third-party links, no matter what the circumstances may be. The Website, www.eventpop.me, contains links to other websites which are not under the supervision of the Company. Therefore, the Company waives any responsibility for any consequences arising from or activity on those sites, both directly and indirectly. The Company reserves the right to modify, temporarily or permanently discontinue the Website, including parts of the Website, without prior notification. You agree and accept that the Company shall not be liable for any loss or damage arising from any suspension, modification, or termination of the Services or any part of the Website. If any clause in these terms and conditions is deemed unlawful, void, or unenforceable for any particular reason, such clause shall be considered separate from these Terms of Services and this shall not affect the integrity and the effectiveness of the rest of these Terms of Services.